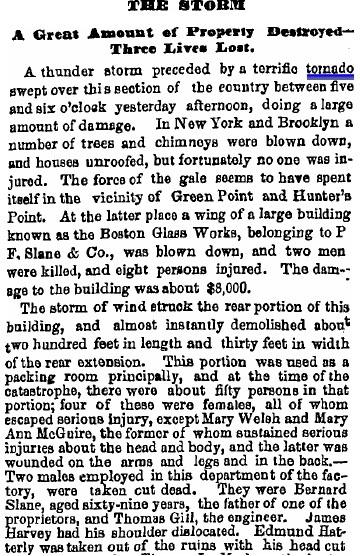 Highlight from the 1889 story: “The varnish factory of George W. Bailey had one corner of the building blown down by the force of the gale.” George! Everything will be OK!! They don’t write em like that any more. 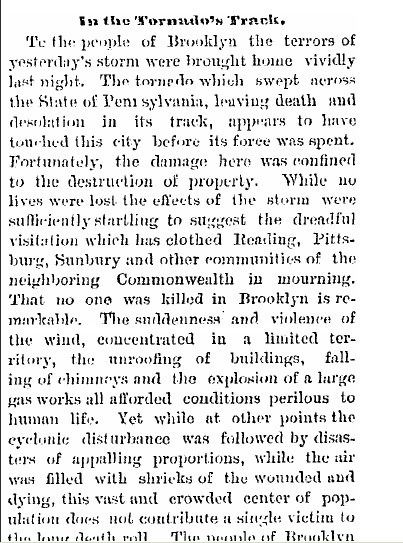 This entry was posted in brooklyn, newspapers and tagged brooklyn eagle tornado, brooklyn public library, brooklyn tornado, brooklyn tornado coverage. Bookmark the permalink.